The first step to flaring a custom brake or fuel line is having perfectly clean ends before you start. 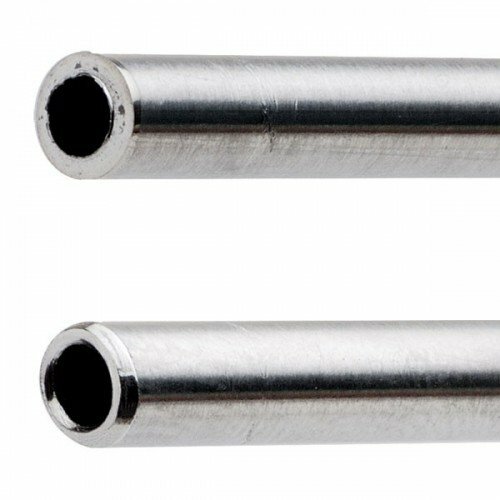 With this deburring tool you can clean up the inside diameter of any sized line from 1/8 inch to 1/2 inch and the outside diameter of any sized line from 5/32 inch to 9/16 inch. It works on all commonly used materials such as Mild Steel, Stainless Steel, Copper, Aluminum, and more. If you are going to flare your own custom length hard lines, this tool will make the process that much easier.